I rescued a snapping turtle in 6th grade. Things didn’t go so well. I put it in a large cardboard box with a bunch of sand, a buried bowl with water for swimming, and I fed it Italian cold cuts. 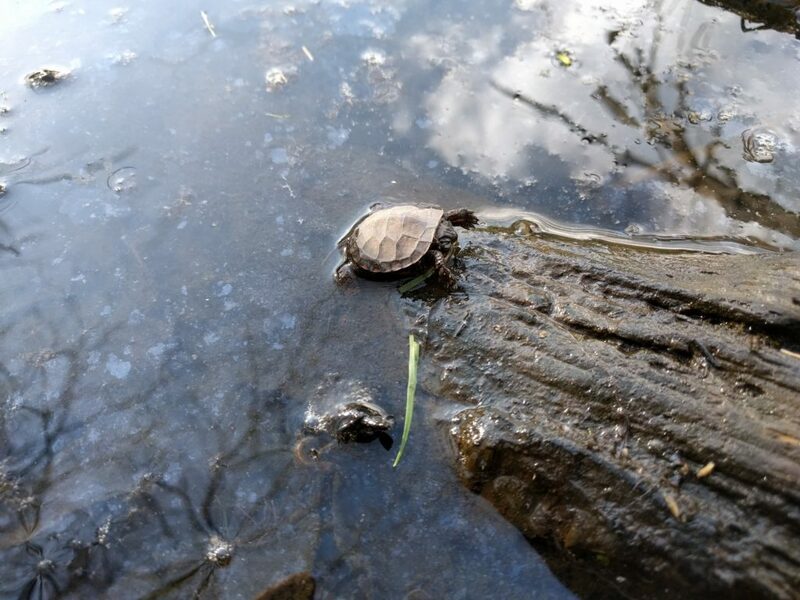 I was surprised at how little the turtle moved, but hey… it was turtle… and everyone knows that turtles move slowly. Unfortunately, sometimes little movement is actually no movement, and Toykle (as he/she was known) was an eyeless corpse before any intervention took place. 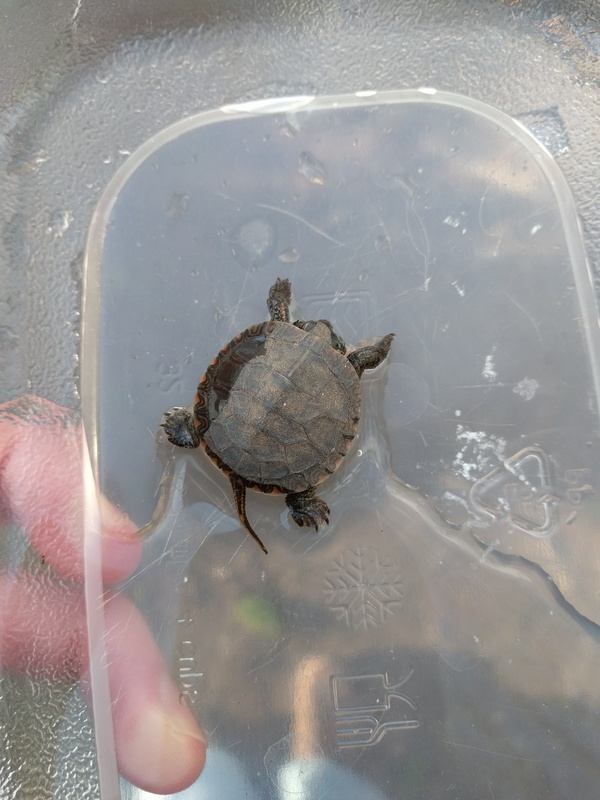 Having learned my lesson, I managed a quick turnaround from rescue to release when Abigail, Jackson, and I noticed a baby snapping turtle headed the wrong way up Maverick Street. Down Maverick leads to the swamp; up Maverick leads to certain death at the library intersection. Turtle chose poorly, but we cheated Darwin and delivered him/her to the swamp. Rescued from road… has eyes! Released in the wild… still has eyes!